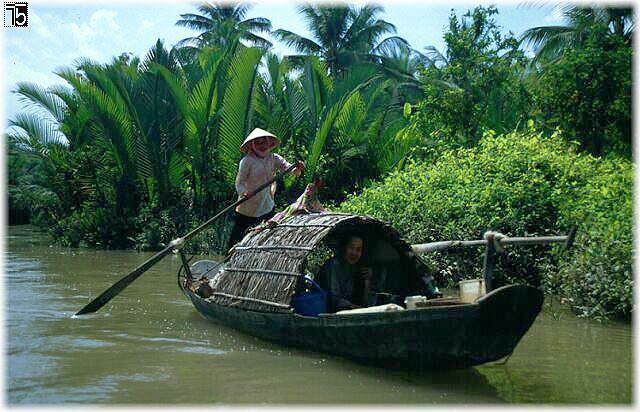 Vietnam is one of my favorite places in Asia. So much history, so much natural beauty, and the Vietnamese people themselves are renowned for their graciousness and good cheer. They harbor no resentment toward Americans despite a decade of bombings during the war. In fact they hold us in the highest favor - increasingly consuming our globalized bounty of pop culture - and welcome Americans with open arms. #10 -- A hopeful current is buzzing throughout much of the country, and it's a thrill to watch the chaos and order play out their yin and yang amidst honking horns, noodle stands, crumbling colonial remnants and high-rises. Here is my list of the nine best things to do in Vietnam. #9 -- Access ethic tribal minorities at villages nestled in the lush hills near Sapa, and share a cup of tea with locals in their rustic mountain homes. #8 -- Dine at the epicenter of culture at an exclusive dinner at the Temple of Literature in Hanoi. #7 -- Enjoy a private reception at a first-rate art gallery in Hanoi. The curator is our longtime friend, and the crème of Hanoi's artists are in attendance. #6 -- Take a private cooking class with a gourmet chef, our friend of two decades who is frequently featured on Vietnamese cooking shows. #5 -- Visit the collection of antiques and photographs of the "American War" by our friend Cuong, who photographed the fall of Saigon and was later sent to a Marxist re-education camp. His life story has been the subject of a PBS documentary. #4 -- Enter a state of blissful oblivion at the breathtaking Six Senses Con Dao beach resort, located on a white sand beach of stunning natural beauty. #3 -- Navigate the alleyways of the ancient port town of Hoi An by bicycle, to explore the syncretic cultural influences of Southeast Asia's most important port from the 17th through 19th centuries. #2 -- Cruise the waterways of the Mekong Delta to glimpse the timeless rural scenes of farmers working the fertile land and fishermen with their nets. Stop in a home to see them making rice paper, one at a time, with a ladle and griddle. #1 -- Take a private overnight cruise through Halong Bayon a restored junk, a traditional Chinese sailboat. This bay is on anyone's short list for the greatest natural scenery in Asia. From sea kayaking into caves to visiting locals in their fishing villages on tucked-away islands, Halong Bay is a must on any trip to Vietnam.